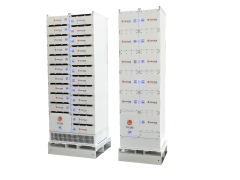 ACEL AS of Norway has ordered an Orca Energy, Energy Storage System (ESS) from Corvus Energy to begin integration testing for uses across multiple maritime applications. Orca Energy is part of the next generation Orca ESS product line from Corvus which is specifically designed for maritime use. The ACEL Group consists of several companies with strong electrical expertise and professional resources in the field of offshore platform service vessels, including new builds, servicing and conversions. Utilizing Corvus Energy’s Orca ESS solution for the power and propulsion systems will improve efficiency, reduce the exhaust emissions and lower maintenance and capital costs of these vessels. As the leading manufacturer of energy storage systems for maritime applications, Corvus designed and built the Orca ESS solutions portfolio based on the experience from 50+ projects utilizing a Corvus ESS, totaling over 35MWh and 1 million operating hours. Rather than a single product, the Orca ESS product line delivers a range of products which are designed to meet the needs of various marine customers. Orca Energy is ideal for applications that require large amounts of energy such as ferries and merchant vessels, while Orca Power has been designed for applications that require a seamless response to dynamic power loads such as offshore supply vessels and port equipment. Sign up for our Updates and get the latest news about Corvus Energy.